Liyan Sun is an Associate Professor in Dep. of Accounting, SME of BIT, Vice-Dean of Dep. of Accounting. 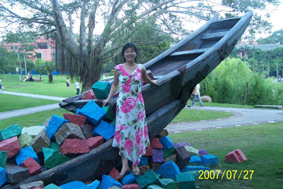 She earned her Bachelor Degree in Economics from Beijing Business School, where she also got her master degree in 1994. After graduation, she had taught in School of Management and Economics, Beijing Institute of Technology. In 2004, she became the vice-chair of Dep. of Accounting in SME, BIT. From 2004 till now，takes the position of deputy director of Accounting Department, School of Management & Economics ,Beijing Institute of Technology. Administrative and Accounting MPA level. She has been the editor or co-editor of seven teaching materials, including Accounting, Financial Accounting Exercise, and Financial Accounting etc. She has published many papers also.